How much does Windows 8 Samsung Slate PC cost? What are the features available in it? I am just planning to buy some Windows 8 PC and came across the new Windows 8 Samsung Slate PC. How much does it cost? What are the features available in it? Is it a best buy for Windows 8 PC? Re: How much does Windows 8 Samsung Slate PC cost? What are the features available in it? Microsoft hasn't released the final version of windows 8.So wait there is time when windows 8 will come in samsung slate PC. 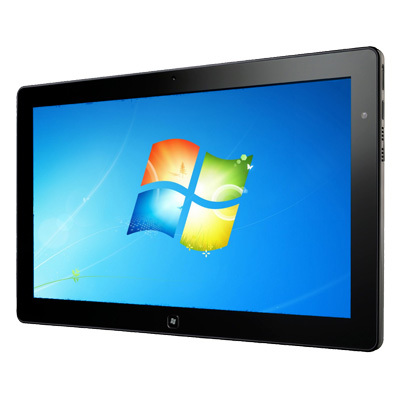 As far as windows 7 slates are concerned their range starts from $500 and becomes expensive as you add more features. I would advise to not to get carried away by the popularity of windows 8. Dear, Windows 8 Samsung Slate series is yet to come in market. The expected time of launch is December 2012. The introductory price , you can assume to be around 40-50K INR. They will offer you the latest features either in terms of battery back up or processor efficiency. The greatest advantage is their size & weight , because of which have advantage over general purpose laptops. Of course, that would be best buy. By now, you must have been aware of Windows 8 features , all of them will be available on slates also. They will have touch feature , better interface. Another better option for you can be , Windows 8 tablets. It is expected that they will be comparable to ipad , or more than that. They can be used as PC or tablet both. It means two users can work on same device ..!! Just wait for few months , you will see lot of new products from Microsoft . see dear , the Samsung Slate pc is not yet launched in India.So its expected price is not yet revealed. But it has been launched in UK and it is costing around 1,349.99 $. >Initially it has got windows 7 and it can be upgraded to windows 8. >it has got a intel core i5 processor. >it has got a LED display of resolution 1366 x 768 pixels. >its dimension are 11.66 x 7.24 x 0.51 inches. >it has a 4GB RAM. >It has a 2.0MP web camera. >it weights around 1.98 lbs..